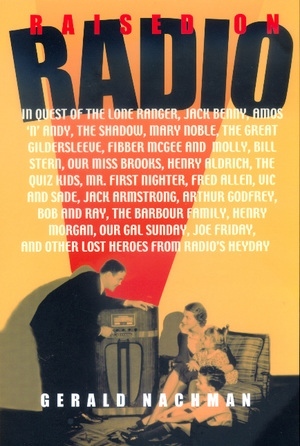 In the late 1920s radio exploded almost overnight into being America's dominant entertainment, just as television would do twenty-five years later. Gerald Nachman, himself a product of the radio years, takes us back to the heyday of radio, bringing to life the great performers and shows, as well as the not-so-great and not-great-at-all. Nachman analyzes the many genres that radio exploited or invented, from the soap opera to the sitcom to the quiz show, zooming in to study closely key performers like Jack Benny, Bob Hope, and Fred Allen. Raised on Radio is a generous, instructive, and sinfully readable salute to an extraordinary American phenomenon. Gerald Nachman has for thirty-eight years covered theater, movies, cabaret, and television for newspapers and magazines across the country. The author of three previous books, he lives in San Francisco.